Eric Lynch, then aged 44 years, of Willimott Street, Ethelton, was reported missing on 16 February 2004 by his housemate. Eric was last seen in the mid afternoon of 10 February 2004, after visiting an associate in Port Lincoln. He was last seen driving a white Holden Commodore sedan. Eric’s bank accounts have not been accessed and he has not been in contact with any family or friends. Of particular note is that he has had no contact with his family which is highly unusual. Police arrested two people charging them with his murder. The charges were later withdrawn. If you have information that may assist police in the disappearance of Eric please call Crime Stoppers on 1800 333 000. Eric Lynch, aged 44 years, of Willimott Street, Ethelton, was reported missing on 16 February 2004 by his housemate. 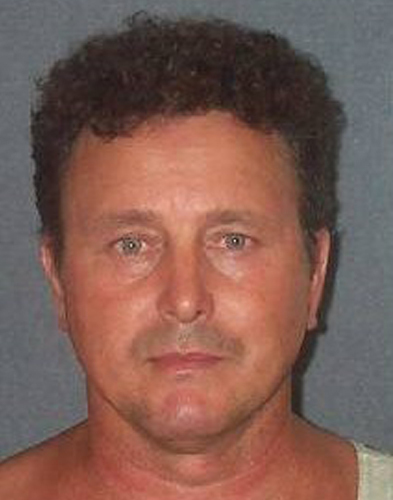 Mr Lynch was last seen in the mid afternoon of 10 February 2004, after visiting an associate in Port Lincoln. He was last seen driving a white Holden Commodore sedan SA VUY-720. This vehicle was later located with a large amount of blood in it. In the early evening on the same day the vehicle left a house at Kapinnie and was known to be at Tumby Bay in company with a green Jeep Cherokee WA 1AY1032. A second vehicle of interest that may be connected with the investigation is a white 1989 Ford Station Wagon SA VAC-414. Mr Lynch?’s bank accounts have not been accessed and he has not been in contact with any family or friends. Of particular note is that he has had no contact with his family which is highly unusual. Major crime detectives say they are confident witnesses can help piece together the final clues in the case of missing Port Lincoln man Eric Lynch. Mr Lynch was last seen in Port Lincoln in February 2004 and his blood-stained car was later found abandoned. Detective Superintendent Peter Woight says police have three suspects in the disappearance and probable murder of Mr Lynch. He says police want to hear from anyone who saw a white Ford station wagon in the Cummins area of Lower Eyre Peninsula. He says a green Jeep Cherokee is also central to the investigation. "We have in fact located that vehicle, it did have Western Australian number plates on when it was here in South Australia and we believe that Eric Lynch's white Commodore and that green Cherokee were together in Tumby Bay on the evening of Tuesday the 10th of February last year," he said. Police – Major Crime Detectives are continuing to investigate the disappearance and suspected murder of Eric Lynch on 10 February, 2004. This week BankSA Crime Stoppers in conjunction with Major Crime Investigation Branch are distributing brochures to all rural land owners in the lower Eyre Peninsula area. Police have received information that the body of Eric Lynch has been buried. The main focus of the brochure is to locate the burial site. Through the BankSA Crime Stoppers brochure Police are asking land owners to inspect their property and surrounding areas and report any possible burial sites. Again police are interested in hearing from anyone that saw Eric Lynch’s 1989 white Holden Commodore in company with a Green Jeep Cherokee with WA number plates in the Tumby Bay area or Lower Eyre Peninsula on 10 February 2004. Another vehicle of interest is a 1989 Ford Station Wagon, VAC-414. Police request that anyone with information contact Bank SA Crime Stoppers on 1800 333 000. A SOUTH Australian man has been charged with the murder of drug dealer Eric Lynch, whose body has never been found. SA major crime investigators today charged a 37-year-old Whyalla man with Lynch's murder. Lynch, 45, from Port Lincoln, has been missing since February 2004. He was last seen in Port Lincoln on February 10, shortly after appearing at a court hearing. His car was later found abandoned, with traces of his blood inside. Police investigating Lynch's disappearance and probable murder last year received information he had been buried. But searches failed to find Lynch's body. Lynch has a long history of convictions for cannabis-related offences. In 1992 and 1999, he was convicted on possession charges and in 2001, he was convicted for selling the drug. Police said the charged man would face Whyalla Magistrates Court tomorrow.